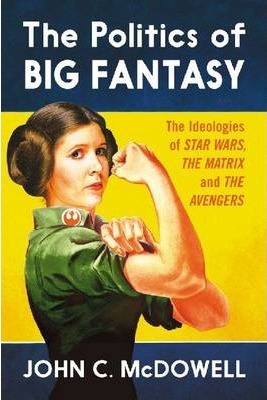 Bringing critical attention to a particular set of Science Fiction and Fantasy films - Larry and Andy Wachowski's The Matrix, George Lucas' Star Wars saga, and Joss Whedon's Avengers - this book utilises a wide-ranging set of critical tools to illuminate their political ideologies, while also examining any resistant and complicating turns or byways the films may provide. What they all have in common ideologically is that they - or at least the genres they belong to - tend to be regarded as belonging to politically conservative frames of sociocultural reference. With the Star Wars saga, however, this idea is shown to be superficial and weak. John C. McDowell is the Morpeth Chair in Theology & Religion at the University of Newcastle, NSW, Australia. He is associate editor and book review editor for Colloquium.